Welcome to another Incredible Edible Season! Spring is back. It’s a little wet, but we are beginning to spread compost through the gardens, plant peas and tend our seedlings. With the season beginning to show herself, I want to fill you in on some of our plans. Volunteer hours at the Incredible Edible Garden at the Red Barn will begin this week, so come join us whenever you can! Michael will be at the garden at 2:00 to let everyone know what needs doing, and work with you. If Michael is not there at 2:00, he wants you to call him 546-0085! You can work for half an hour, two hours, or whatever amount of time you would like. If you have a favorite shovel or fork, a 5-gallon bucket for weeds, feel free to bring them. If not, just come. We have tools there. Feel free to bring kids, but know that you’ll want to supervise them. Friday, June 9 at 3:00 at Mano En Mano Janis will plant a Salsa Garden with the kids there. Saturday, June 10 at 9:00 at the Milbridge Public Library, Janis will plant a “Pizza and Salad Garden”. This event will include a seedling exchange. If you have seedlings to share or want to get some seedlings, come on by! Families are welcome. The Recipe Project: This year we are working on putting together a recipe book of healthy recipes using fresh vegetables from the garden, complete with stories and photos. If you or someone you know want to find out more you can go to our website https://whrl.org/iem/recipe/ or contact Emily. Kimchi Party – It’s All the Rage! You’ll see 5 gallon jugs in some of the businesses around town “Pennies For Seeds”, inviting the public to support the gardens. Encourage friends to contribute! 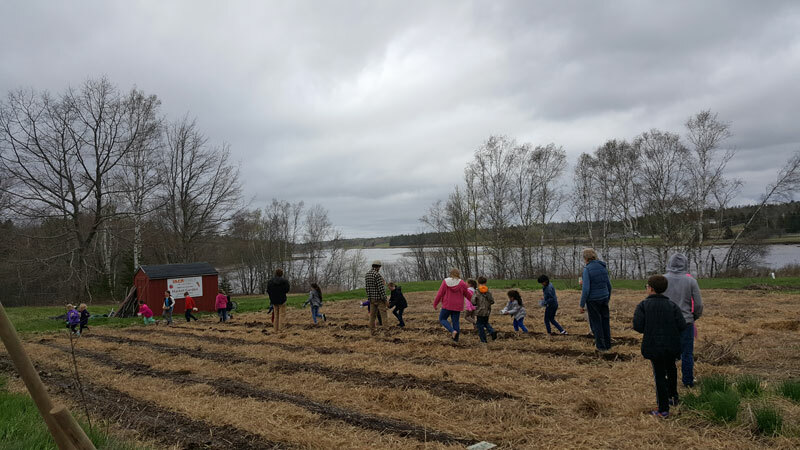 We are bringing all the kids from the Milbridge Elementary School to the Incredible Edible Garden at the Red Barn this spring to plant!! We have enthusiastic support from all the teachers, and the kids love it. We have been working over the fall and winter with landscape architects on the design for the Milbridge Commons, that will include a walking track, vegetable gardens, special play areas for kids and open space. More news on this exciting project as the season progresses. At its core, Incredible Edible is a kindness project and a community building project. Thanks to all individuals and businesses who have been involved in so many ways over the last four years. Every little contribution of time, labor, and materials have made a difference for our community. Visiting the garden and spreading the word about it will help it grow too, so come by! If you have ideas to share, feel free to contact me directly (pam@whrl.s461.sureserver.com). I look forward to seeing you out in the garden!